Then the Taiwanese street food gua bao hit these shores a few years ago, the oyster-shaped buns with moreish middles were welcomed with open mouths. Soft, doughy and full of flavour, it’s not hard to see why we’re going barmy for Taiwanese buns. The British have always been partial to a good pie but, in the last decade, the nation’s embraced a gastronomic revolution and the humble pie has become a bit old hat. So, when the Taiwanese street food gua bao hit these shores a few years ago, the oyster-shaped buns with moreish middles were welcomed with open mouths. 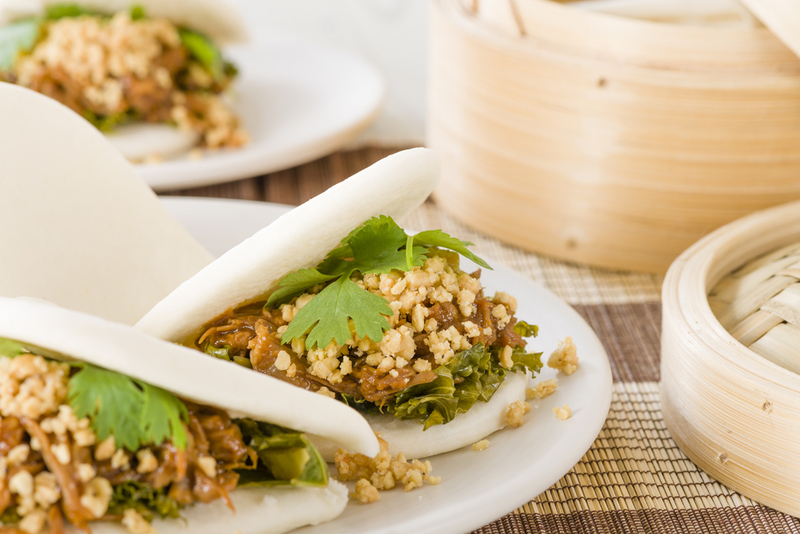 Originating from Fuzhou, the capital of China’s Fujian province, the gua bao (meaning ‘cut bun’) was a street-food staple. 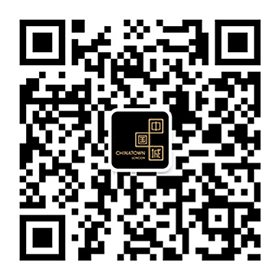 Today it’s more closely linked with Taiwan. Also known as ‘Taiwanese burgers’ or, simply, as ‘steamed buns’, gua bao are the forerunner to Japanese hirata buns, due to Japan’s colonial occupation of Taiwan. Taiwanese street food gua bao, an oyster-shaped bun with moreish middles. Both offer the familiarity of soft, doughy bread combined with Eastern flavours, hearty fillings, heady spices and crunchy vegetables. While the rice-flour bread is light and lovely (authentic bao uses Chinese bleached flour to achieve a pure blanched, alabaster-white bun) it’s the fillings that make this variety of baozi so irresistible. The most common meat is slow-cooked shredded pork or roasted pork belly, traditionally accompanied with suan cai (pickled mustard greens) and crushed peanuts. 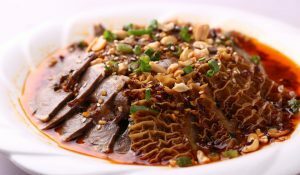 Then there are other mouth-watering options – roast duck, fried chicken, mushrooms or tofu – elevated by crispy greens (think lettuce, cucumber and spring onions), tangy pickles, aromatic coriander and sauces such as sweet chilli sauce or mayo. Slow-cooked shredded pork with suan cai (pickled mustard greens) and crushed peanuts filling. 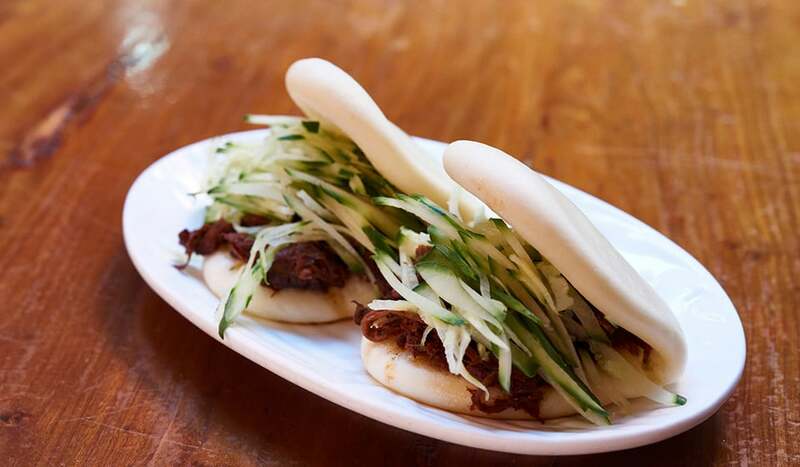 New Yorkers are all too familiar with the wonders of gua bao and have been for some time. 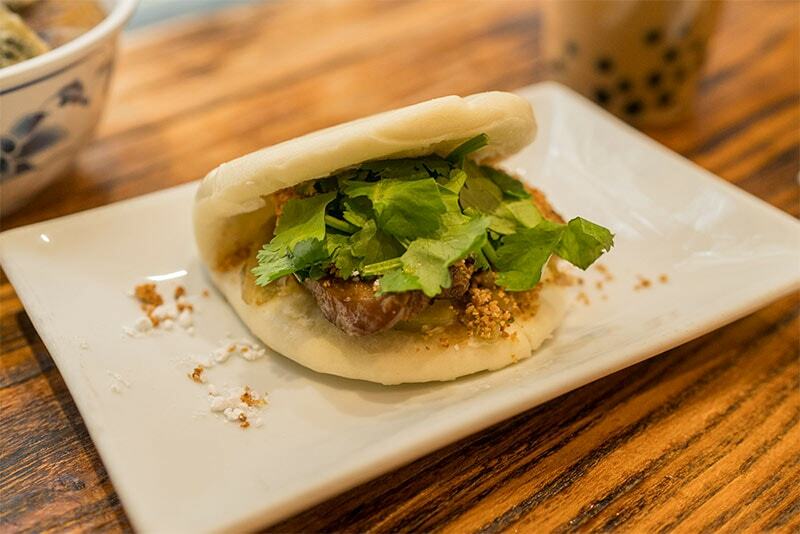 American-Korean chef David Chang (of Momofuku fame) has been serving pork buns for over ten years. 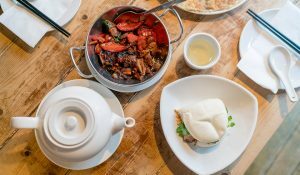 London had to wait until Covent Garden’s Flesh & Buns opened in 2013 for steamed buns to enter the mainstream. 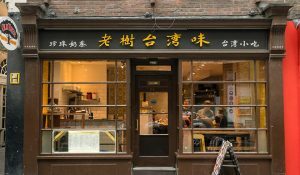 Now, there are numerous eateries all over London that serve up these Asian delicacies, but there’s one that’s more popular than ever – Old Tree Daiwan Bee on Rupert Street. Sample what the Taiwanese affectionately call hu yao zhu (tiger bites pig) and you might never pick up a pie again.